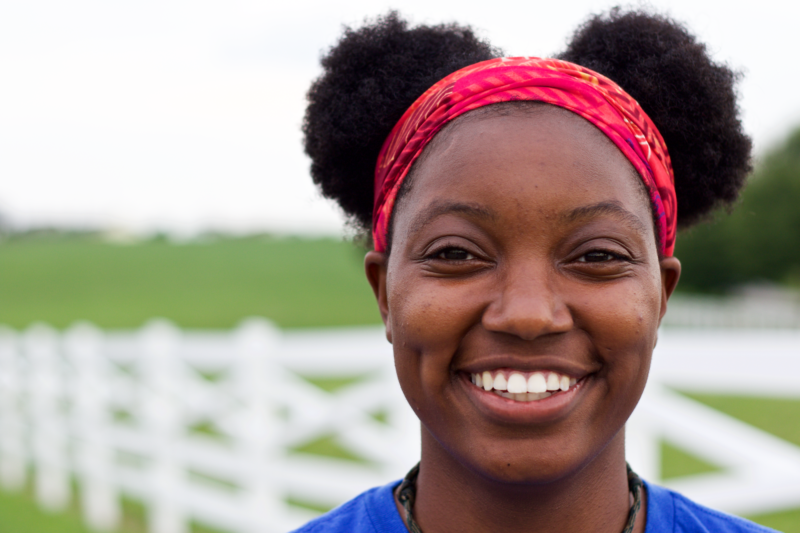 Editor’s note: Alexus Rockward spent the summer at a live-in program called Christian Training School, or CTS, a summer-long training course held at the Christian Fellowship Camp on the outskirts of Lexington. The program focuses on practical training in the values of Christian discipleship and community. It is also intended to help students give a less-distracted effort in meeting personally with God through prayer, Scripture and service. Below is what Alexus read at the CTS graduation ceremony. To capture what happened in me during CTS, I felt it would be most appropriate to include my first and last journal entries of the summer. Today was the first day of CTS, and God has already begun to work in powerful ways. We have had our first “go out and seek the Lord” after a teaching, which I figured wouldn’t occur until Week 2 or 3 at the soonest. I have already engaged in some fervent prayer over Scripture, specifically Philippians 3, which we are to memorize. At this rate, my fleshly willpower is going to run out by the end of this week! God must do some miraculous work of endurance and perseverance in me in order that I make it through the summer. God has been faithful to speak to me and meet with me. After the evening teaching, when we were dismissed for seeking the Lord and being in the Spirit, the Holy Spirit moved me to a time of silence, particularly a time of stillness in my mind and body. After about 20 minutes of quiet, I began to lightly consider the ways in which I seek fulfillment apart from God. It was difficult to do at first (because I’m accustomed to deep analysis) but in a short while, a certain something came to mind. I seek fulfillment in self-identification. I tell myself who I am, when really I don’t know. Yet I find satisfaction in the uniqueness that I falsely create for myself. I spend too much time asking God who I am. I should start asking who Christ is and strive to be more like him. Tonight’s teaching on evangelism pierced through tendon and bone. People are perishing, desperate for the gospel. Souls of infinite importance are being deformed into nightmarish figures, as I, in full sight of the matter, nurse my insecurities and entertain fears. What the heck am I doing?! People are dying, killing themselves, and I’m afraid to share the gospel that could save their lives because what? I’ll look weird? It feels awkward? To hell with those excuses! Eternal souls are at stake. Eternal lives to be spent in eternal joy or torment. If I love my Lord and wish only to serve him, I will join in the work he has been doing since the beginning. I will sacrifice my life to see his lost sheep brought home. My life cannot be anything else, properly at any rate. God has given me his love to pour out on others. I must be other-oriented. I must spread the gospel and teach others to observe the teachings of Christ, for then will I be where Christ is. I began this summer with Jesus as my ticket to heaven and have ended it with Jesus as my everything.